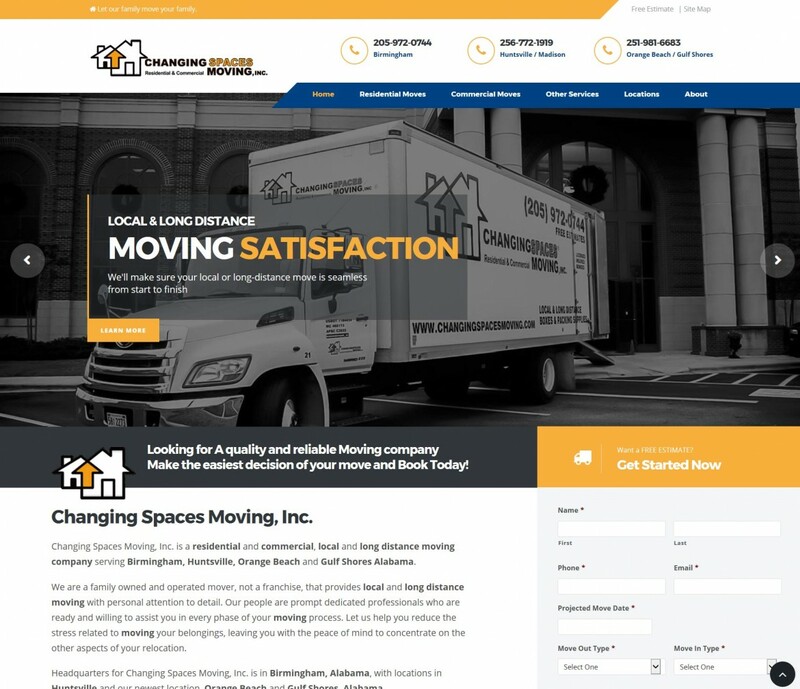 Changing Spaces Moving was redesigned and went live April 2017. A newly updated look, homepage estimate form, and new custom page designs were some of the many improvements. It also got a much needed tune-up under the hood.